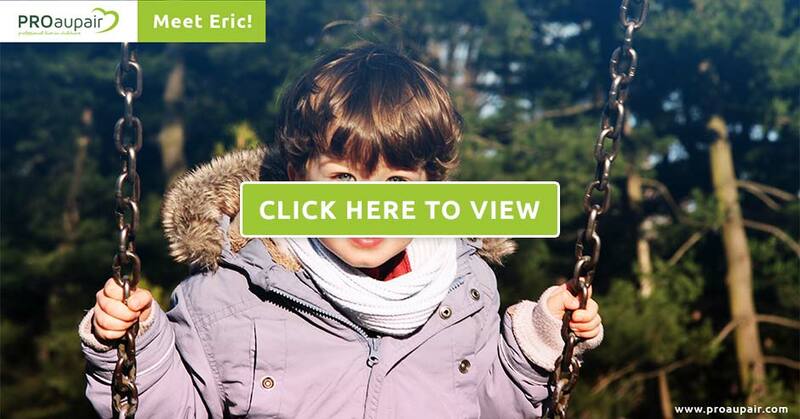 Three year-old Eric is a smart, curious little boy who loves to explore. Eric’s au pair, Ina, an educator and pre-school and kindergarten teacher from Germany, frequently takes Eric to the museum and to other cultural outings. Host mom Nada appreciates Ina’s understanding of Eric’s developmental milestones and the reliable support she provides to the family for now almost two years.